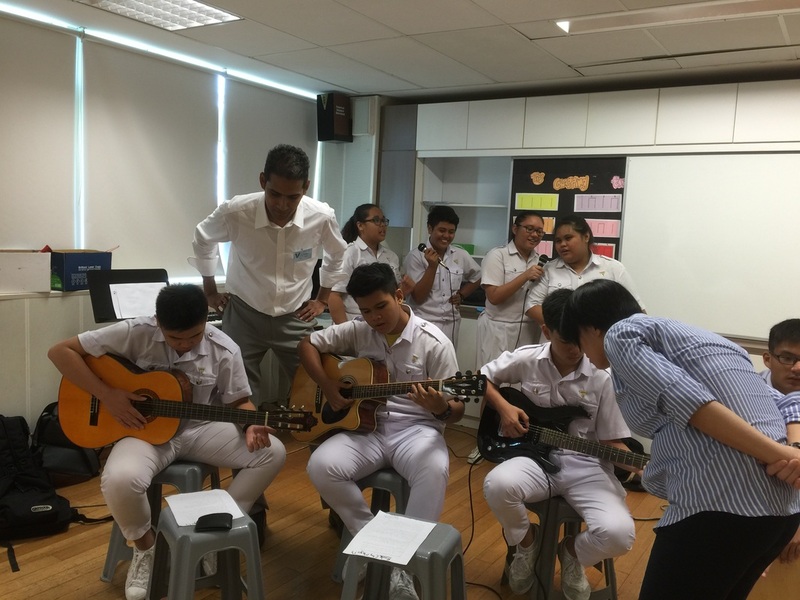 Students were taught the basics of strumming chords on the guitar. 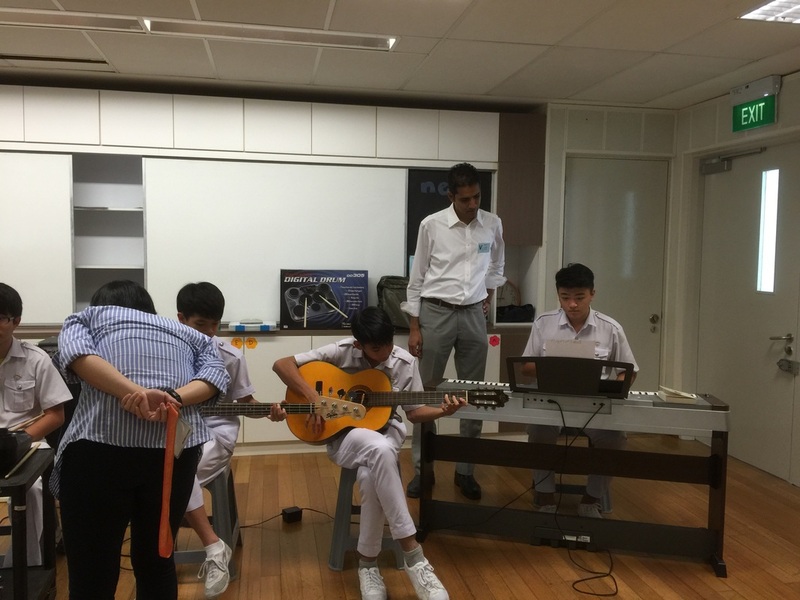 This equipped them with sufficient knowledge to write simple songs with the guitar. 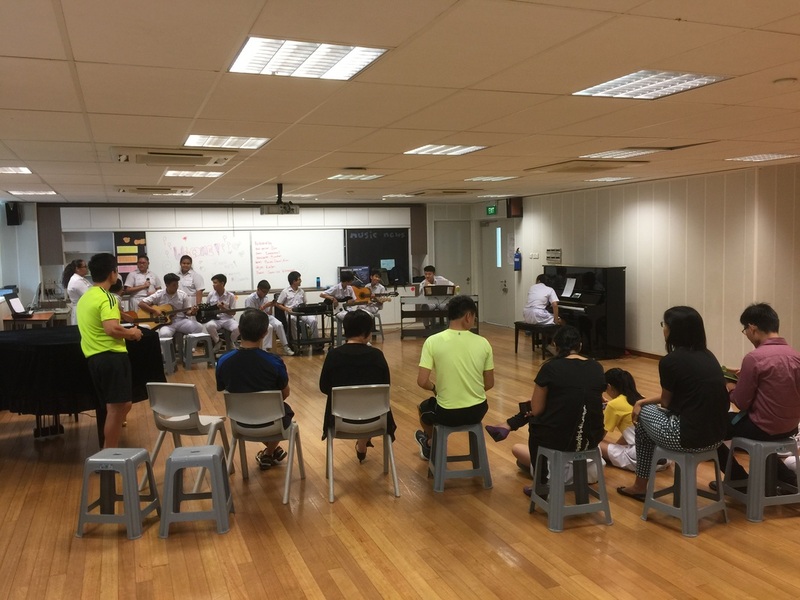 A group 0f 9 students were given the task of setting up a band and learn one song which they had to perform for their class and teachers. 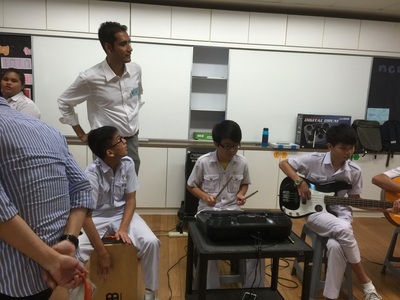 They came of with flying colours with their rendition of Magix's 'Rude'. The power to develop is in you. We'll help you realise it!